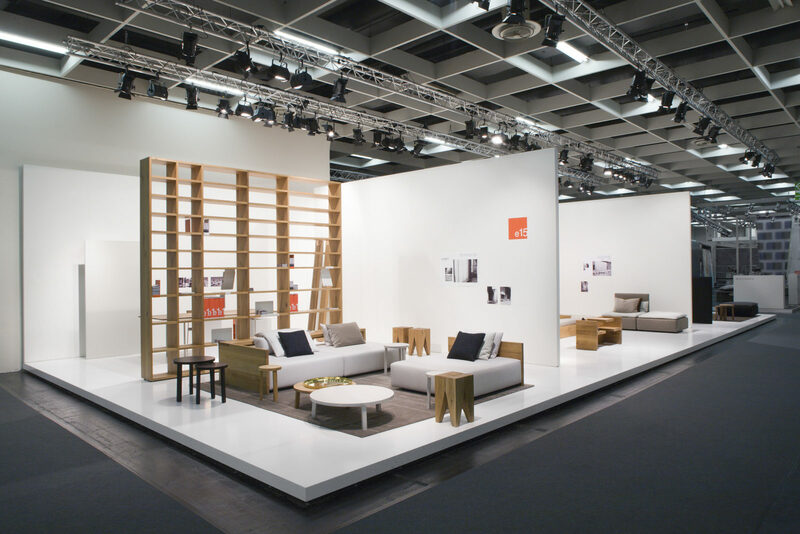 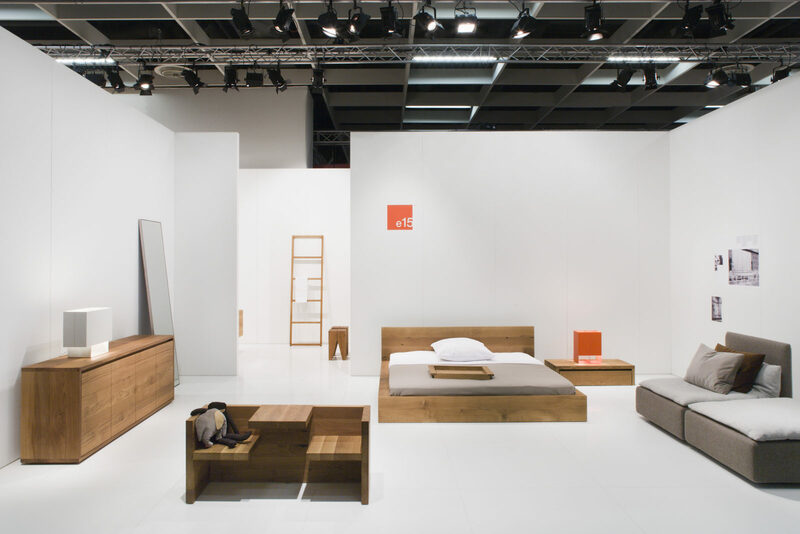 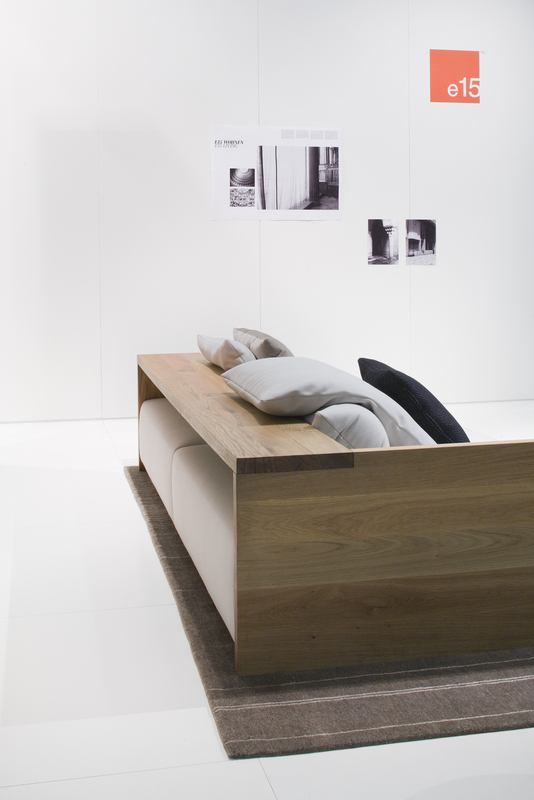 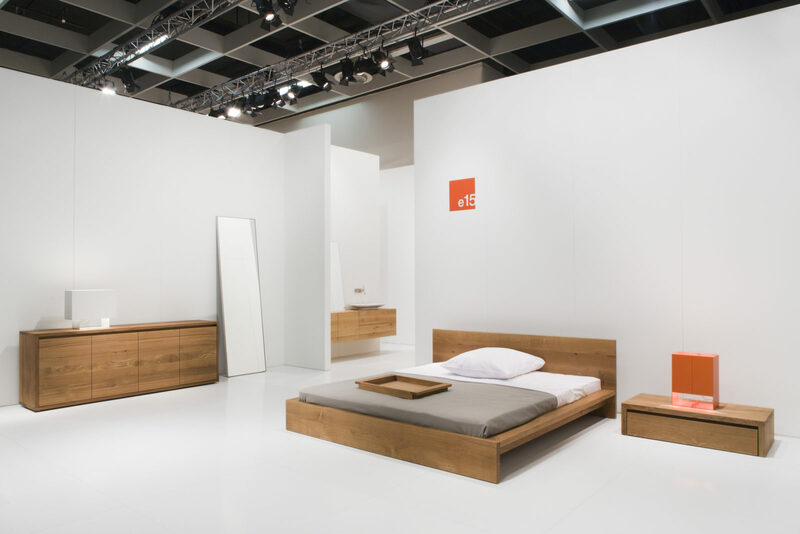 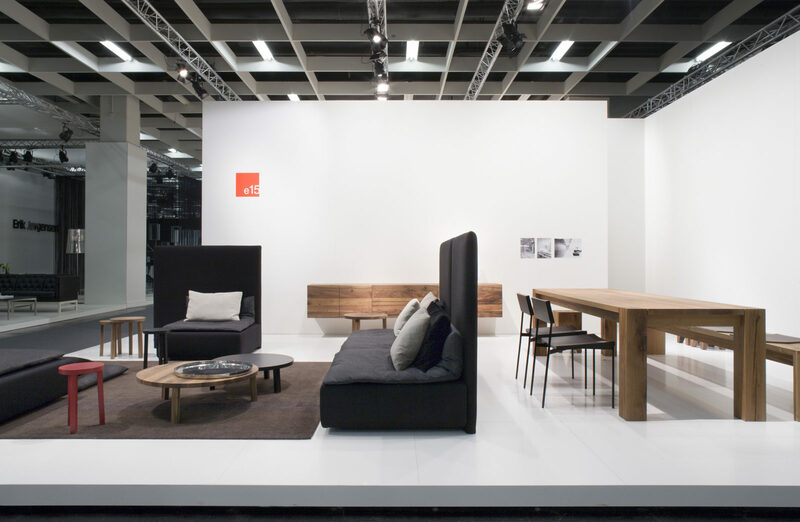 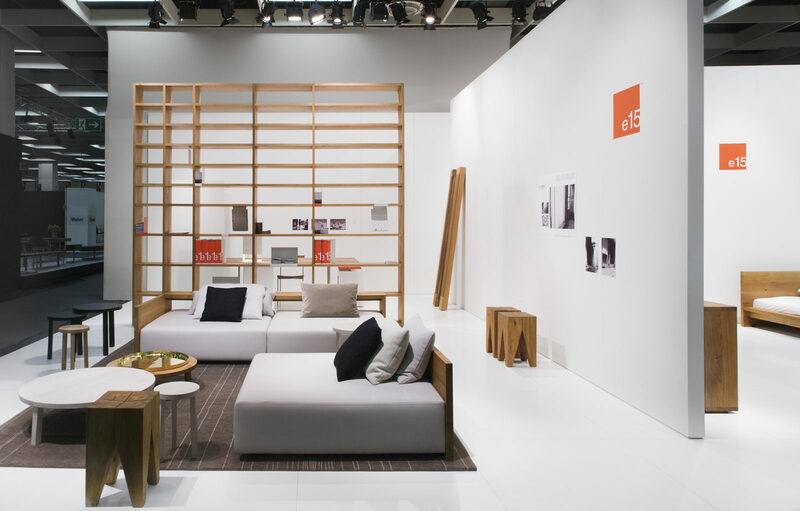 The design of a pure and architectural exhibition stand reflecting e15’s distinct aesthetic was planned to communicate the introduction of the e15 Living concept for the brand’s 2007 collection. 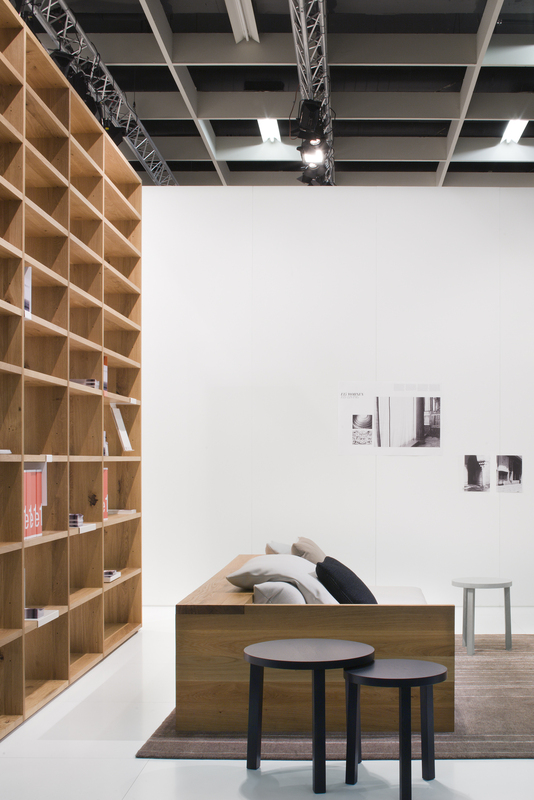 With a layout representing a generous one-story house, all living areas were represented. 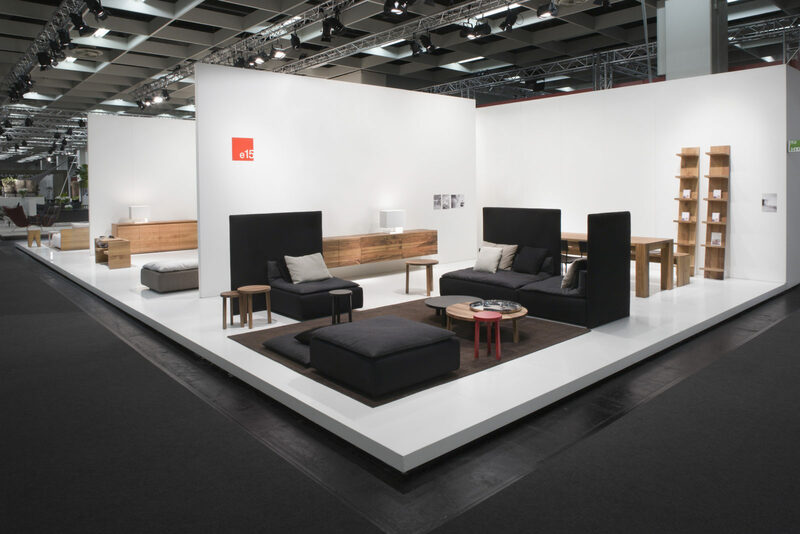 A special focus was placed on the debut of the sofa system SHIRAZ featured in various fabric combinations, creating a living landscape together with complementing products such as metal and wood side tables and carpets. 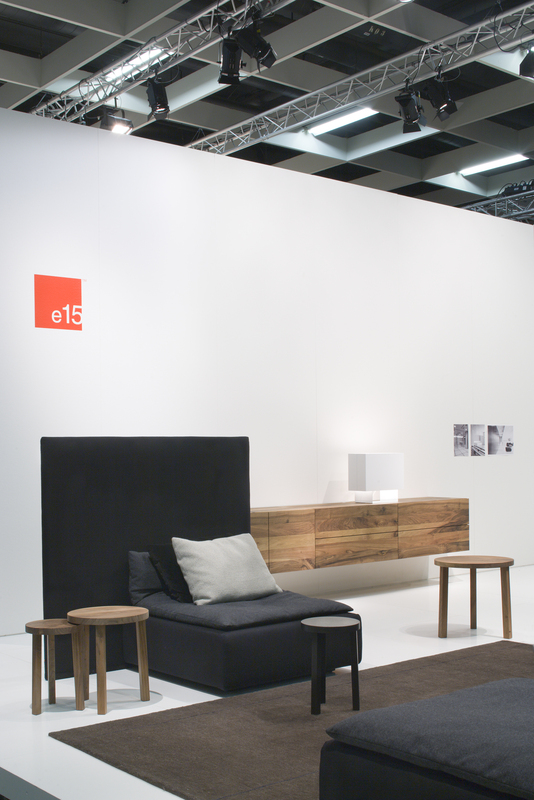 The layout of the stand allowed the visitor to discover e15 products while wandering through different areas of a “residential house”.